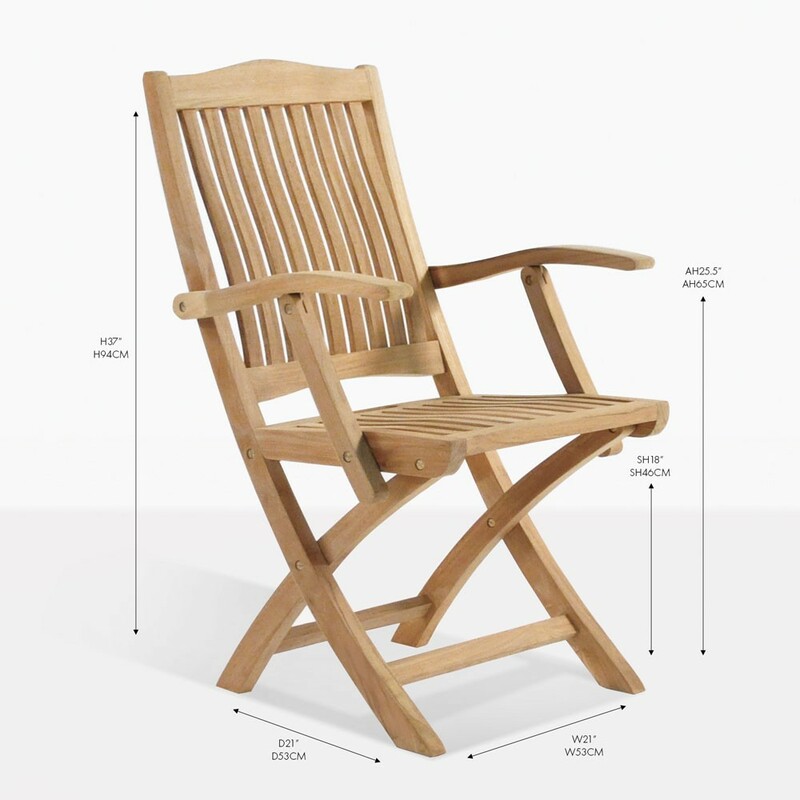 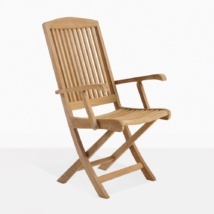 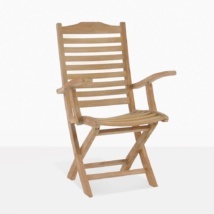 Perfect in a seaside setting, in the midst of a garden, or surrounding one of our extensive variety of A-Grade Teak dining tables, the convenient and attractive Kensington Folding Armchair is a perfect addition to your outdoor area. 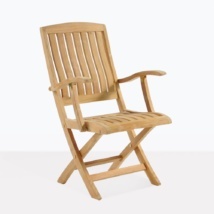 Featuring elegant, slim slats of A-Grade Teak, a classic, curved headrest and a handy handle that enables the chair to fold up for easy storage; the Kensington Armchair is an easy solve for your seating needs. Purchase one of our Nova Fixed Tables, and frame it with Kensington Armchairs, ensuring that every guest has the space and comfort to sit back, relax and enjoy long meals in a glorious environment. 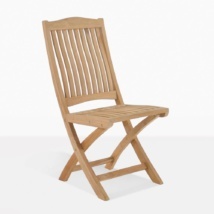 W21" x D21" x H37"
Also available in this range is the Kensington Side Chair, so you can make a traditional setting with two Kensington Arm Chairs at the head and 4 – 6 Side Chairs spanning the length of your table. 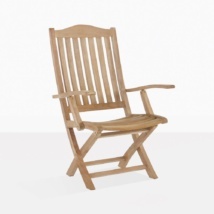 Set up a coffee spot on your porch with two Kensington Arm Chairs and a 27” Round Pedestal Table.